The issue of being Christians abroad but non-Christians at home is the case for an increasing number of Chinese students who converted to Christianity while studying overseas but who give up their faith once they’re back home in China, Foreign Policy reported. The news outlet blamed this on Chinese authorities’ hostile treatment of Christians. Tens of thousands of Chinese students educated in English-speaking countries abroad and who converted to Christianity have been returning to China every year since 2010, the report stated. However, once back home, 80 percent of these Christian converts stop attending church service, according to informed sources. 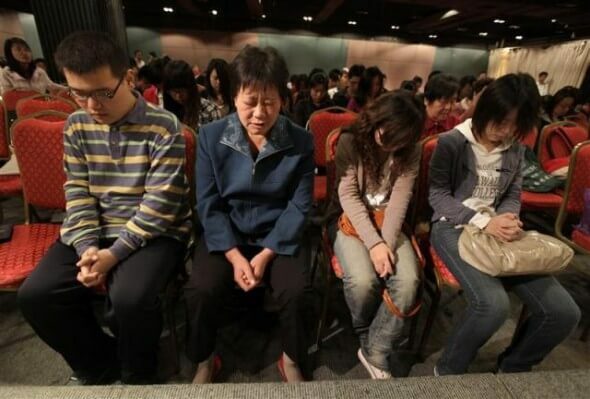 “When Chinese converts return home, they often find it difficult to select a church where they feel comfortable,” the report said, noting that in China public proselytising is severely curtailed and church networks are isolated. Chinese culture also poses a roadblock for the Christian converts. For instance, former University of Nottingham student Jason Fu told Foreign Policy that balancing his work and faith is incredibly difficult now that he is a teacher at a university in Nanjing. “Theoretically, we should prioritise God over everything else, but real-life scenarios often don’t permit that,” he said. Although China is officially an atheist country, there are 67 million to 100 million Christians in China while there are 87 million Communist Party adherents, according to estimates made by foreign scholars. China currently ranks 39th on the Open Doors USA World Watch List of top Christian persecuting countries.